Among the updates to the Jeep lineup in 2017, the brand has added a new version of the Grand Cherokee to the lineup. Apart from the Laredo, Limited, Overland, Summit and SRT, this new edition is the one for those who like to go beyond where the road ends. 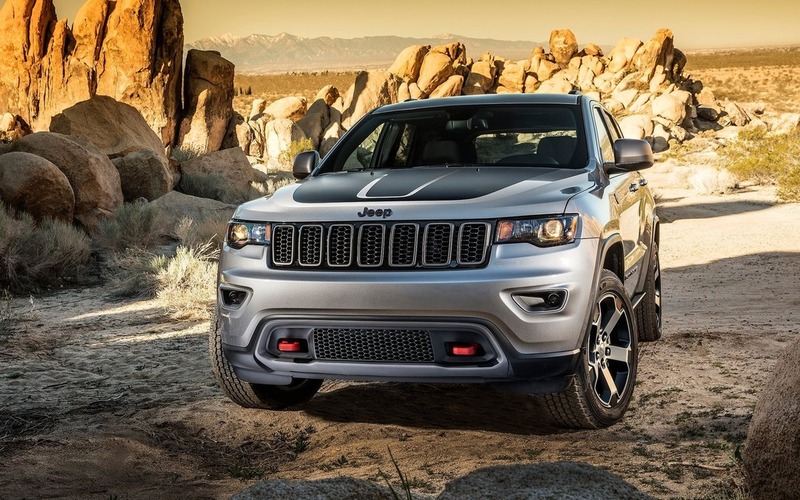 Just like on the Cherokee and the Renegade, there is now a Grand Cherokee Trailhawk. Recognizable by its 18-inch wheels shod in Goodyear Adventure tires, red-painted tow hooks and raised ride height—for a total of 27.4 cm—the Grand Cherokee Trailhawk gets the Quadra-Drive II system, a limited-slip rear differential, an air suspension optimized for off-road driving and maximum articulation as well as skid plates under the SUV’s mechanical elements. Inside, owners get seats covered in suede, leather and red stitching, black trim and aluminium accenting. There is also a large quantity of Trailhawk badges and the Uconnect system gains a few information screens useful for off-road drivers, like the vehicle’s angle and the suspension’s height. We knew that the Jeep Grand Wagoneer was coming back in the next few years. We also knew that FCA was thinking about making it a competitor to the German SUVs. Finally, we also learned that the platform of the upcoming Jeep Grand Cherokee would be used in its creation.